After four years the Portuguese driver Antonio Felix da Costa leaves the Red Bull family which backed his career in different racing series since 2012. Felix da Costa was discovered by Helmut Marko, Red Bull’s consultant when he drove in GP3 in 2012. The energy drink company then backed him in the following year when the Portuguese stepped up into the World Series by Renault category. He could not meet the expectations and could not seal the title. He then switched his focus to DTM and Formula E.
His biggest racing result was his Macau GP win in 2012. Da Costa also represented Red Bull in different sporting or sponsor events. He usually drove the Red Bull demo cars on WSR weekends. The 24-year-old also often worked in Red Bull’s simulator to help the team in developing its cars and also completed real test days. On his facebook page, Da Costa noted: "Don't cry because it's over. Smile because it happened! 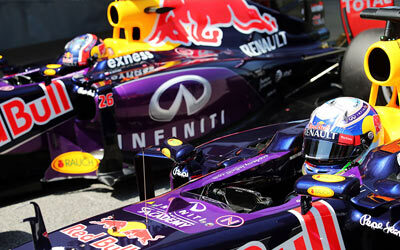 After 4 great years I want to say a big thanks to all the Infiniti Red Bull Racing people. It's now time to move on as next year I want to focus 100% in DTM and Formula E!"